The Cal Yoder Team is ready to sell your home. We stand prepared to reveal our marketing plan to sell your home for the most amount of money. Selling your home is exciting and stressful. We make it as easy as humanly possible through our aggressive marketing strategies and coordination of all the details necessary to make this transaction occur smoothly. We are professional and courteous. Is it worth hiring a real estate agent to sell my home? To help you better understand what we will do to help you sell your home, we created an exhaustive list of activities. We understand how difficult it is to move and helping you get your home sold in the shortest amount of time for the most money is my number one goal. 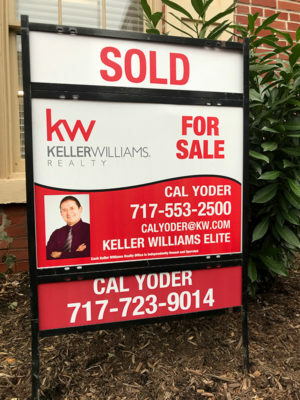 Give Cal Yoder a call to learn why so many choose us to sell their homes.